The main subject of these paper deals with enhancing the steady-state and dynamics performance of the power grids by using new idea namely Advanced Flexible AC Transmission Systems based on Evolutionary Computing Methods. Control of the electric power system can be achieved by using the new trends as Particle Swarm Optimization applied to this subject to enhance the characteristics of controller performance. This paper studies and analyzes Advanced Flexible AC Transmission System to mitigate only one of power quality problems is voltage swell. The Advanced Flexible AC Transmission System, which will be used in this paper, is the most promising one, which known as Advanced Thyristor Controlled Series Reactors, and Advanced Static VAR Compensator were utilized in this research to mitigate the voltage swell aiming to reach. This paper focuses on the operation of the AFACTS device under turning off heavy load that may causes transformer damaged, as no research covers this problem by this technique. Particle Swarm Optimization is used to determine the value of series inductor connected to the Advanced Flexible AC Transmission System. The proposed algorithm formatting, deriving, coding and programming the network equations required to link AFACTS during steady-state and dynamic behaviors to the power systems tested on the IEEE 30 bus system as well as IEEE 14 bus system, and 9 bus system. Power Quality problems encompass a wide range of disturbances such as voltage sags/swells, flicker, harmonics distortion, impulse transient, and interruptions (Omar et al., 2008). Good power quality means that consumer is to be fed by voltages and currents at nominal specified values and at as high as possible of power factors, So that the power quality is mainly related of the voltage and currents and can be judged by the following factors: Balancing and symmetry of three- phase systems values, the voltage and currents amplitude, harmonic contents, degree of voltage stability and the systems frequency. The object of the power quality is realized when all the above values are within the allowable international standard limits. Power Quality is mainly affected by the increased use of non-linear loads such as power electronic equipment, variable speed drives, electronic control gears etc. Poor power quality can affect the safe, reliable and efficient operation of the equipment. Voltage swell is defined as an increase in r.m.s voltage or current at the power frequency for duration's from0.5 cycles to 1 min, typical magnitudes are between 1.1 and 1.8 p.u. Voltage swell can cause sensitive equipment (such as found in semiconductor or chemical plants) to fail, or shutdown, as well as create a large current unbalance that could blow fuses or trip breakers. These effects can be very expensive for the customer, ranging from minor quality variations to production downtime and equipment damage. There are many different methods to mitigate voltage swells, but the use of a custom Power electronics device is considered to be the most efficient method. Flexible AC Transmission Systems abbreviated by FACTS forms a new domain in power system control engineering, using power electronic devices and circuits and the more recent existing technologies in automatic control. 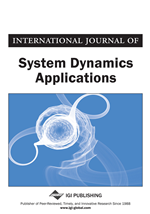 This paper covers in width and depth the modeling and simulation methods required for a thorough study of the steady-state and dynamic operation of electrical power systems with FACTS controllers. The characteristics of a given power system evolve with time, as load grows and generation is added. If the transmission grid capacity is not updated sufficiently the power network becomes vulnerable to steady state and transient stability problems, as stability margins will be narrower (Ahuja et al., 2014). The powerful of the transmission grid to transmit power has constraint by one or more of the following steady-state and dynamic limitations: Angular stability, Voltage stability, Thermal limits, Transient stability, and Dynamic stability. These limits affect the packages of the power to be transferred without block out to transmission lines and electric apparatuses. Mainly restrictions on power exchange can be controlled by installing new transmission and generation circuits. Also, FACTS controllers can achieve the same tasks to be met with no huge changes to system layout. FACTS controllers save a lot of benefits such as reduction of operation and transmission investment cost, increased system security and system reliability, maximize power transfer capabilities, and an overall enhancement of the quality of the electric energy delivered to customers (Lin et al., 2014 and Klump et al., 1996). From the operational point of view, FACTS technology is concerned with the ability to control, in an adaptive trend, the directions of the power flows throughout the network, where before the advent of FACTS, high-speed control was very limited. The ability to control the line impedance and the buses voltage magnitudes and phase angles at both the sending and the receiving ends of transmission lines, with almost no delay, has significantly increased the transmission capabilities of the network while considerably enhancing the security of the system. In many practical situations, it is desirable to include economical and operational considerations into the power flow formulation, so that optimal solutions, within constrained solution spaces, can be obtained. The studies of power quality have been further emphasized in (Sayed et al., 2012; Hassan et al., 2013) the authors used AFACTS to overcome the voltage sag based on Artificial Intelligent Optimization.